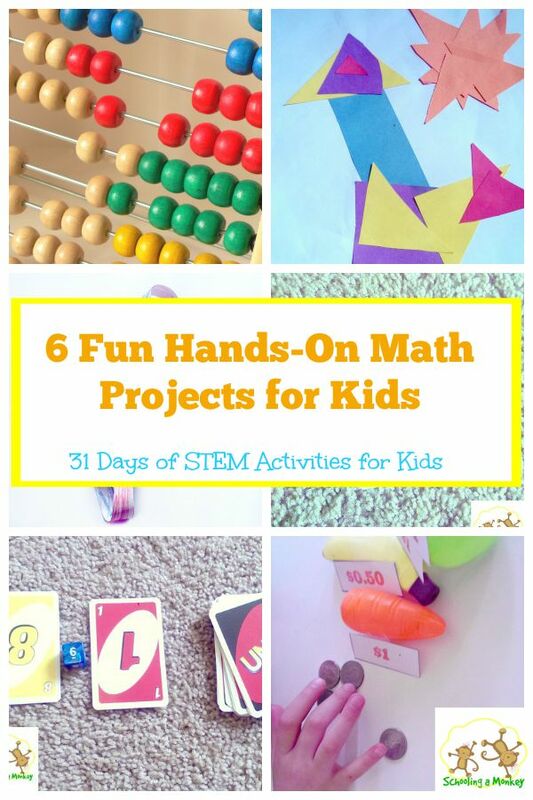 If your kids/class has a love/hate relationship with geometry (or maybe a hate-hate relationship), then these hands-on geometry STEM activities are for you! Kids struggling wiht geometry? 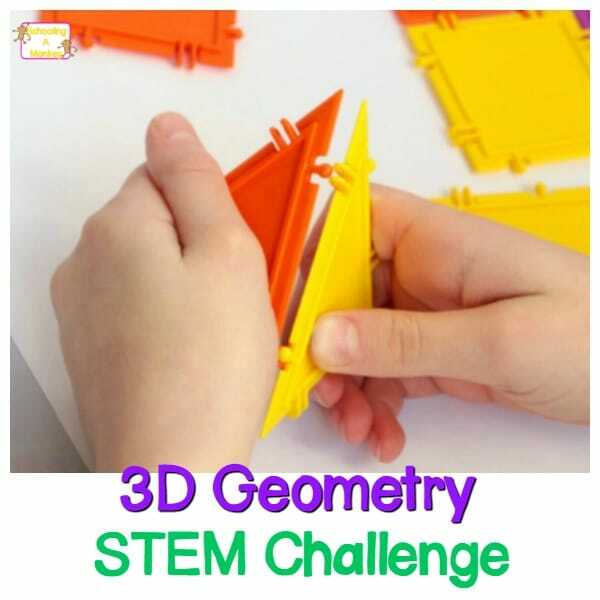 Try this fun hands-on geometry challenge! This post was written in partnership with Geometiles. All opinions are my own. 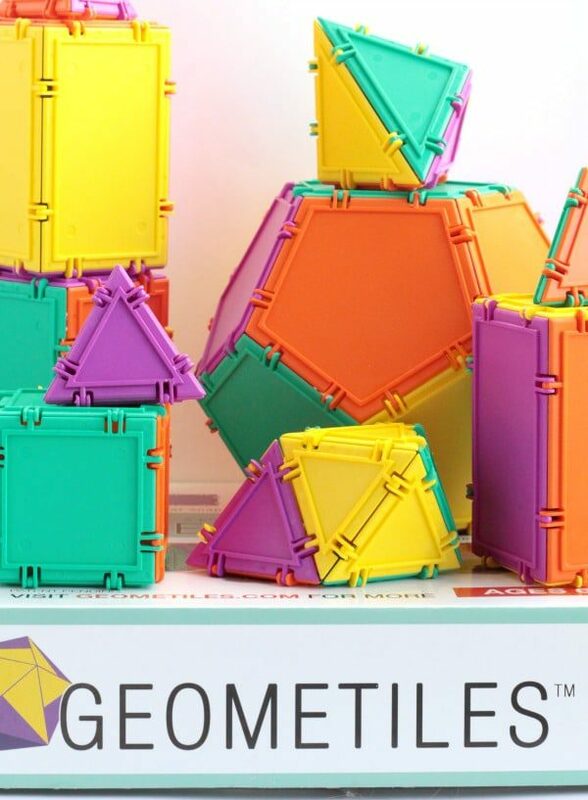 When Geometiles reached out to me to see if I wanted to partner with them to try out their line of 3D geometry tiles, I was thrilled to receive the box. Monkey, like her mother, has a bit of trouble thinking with a geometry mindset. Seeing how shapes work together, learning area, volume, and proofing angles, was always a challenge for me. 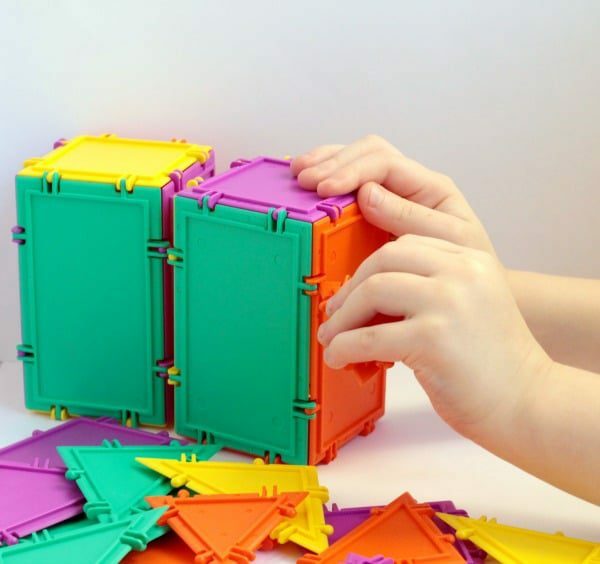 With these tiles, kids can see how shapes work together in 3D right before their eyes. 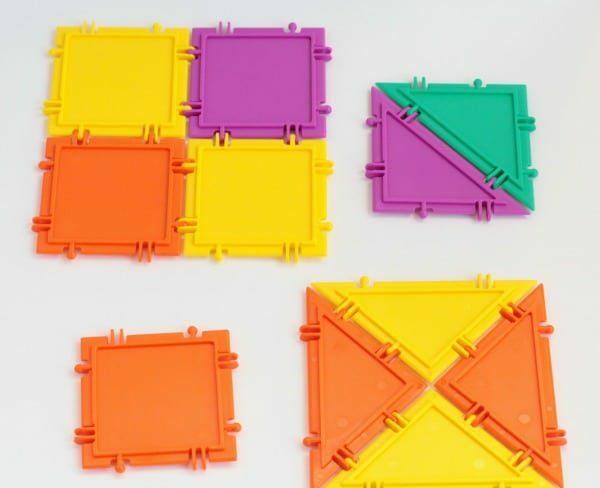 This set of manipulatives works to boost STEM skills thanks to the math, engineering, and trial and error processes that kids have to go through to solve the math challenges. On their own, the tiles are a lot of fun to play with. Bo had fun making and building with the shapes in her own preschool version of hands-on geometry. The colors are so bright and fun. 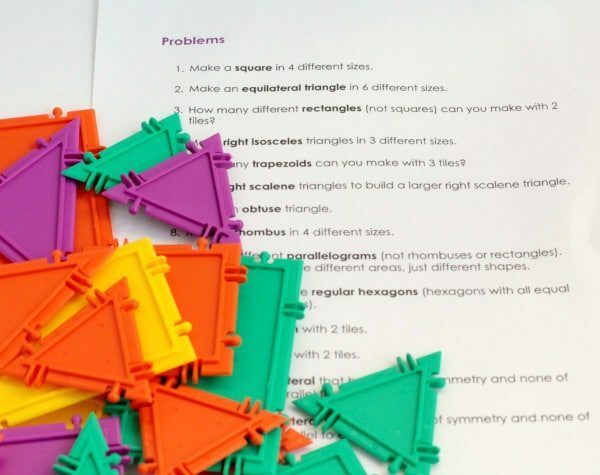 But what makes these tiles really educational is the addition of the math challenges that Geometiles has created. 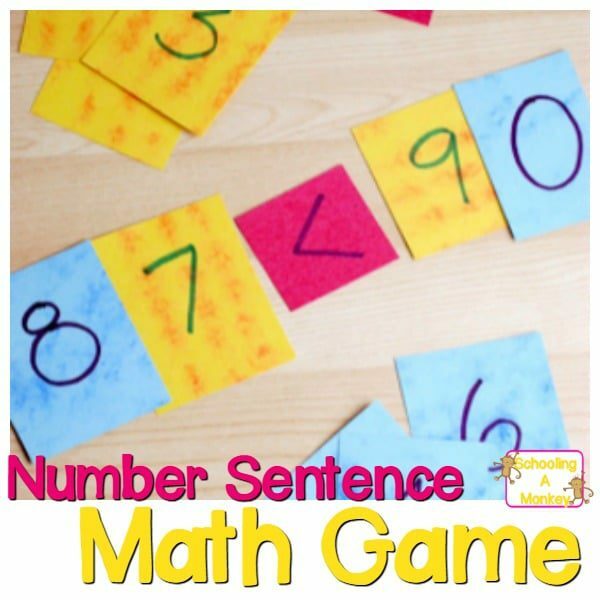 There is a whole series of educational challenges for brain teasers, shape challenges, angles, fractions, and tangrams. The first challenge we tried was the square shapes challenge. 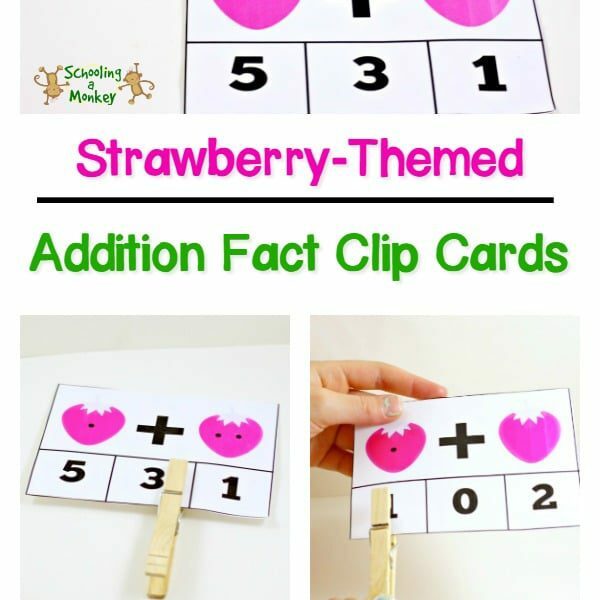 The directions said simply to come up with four different square designs using different shapes. 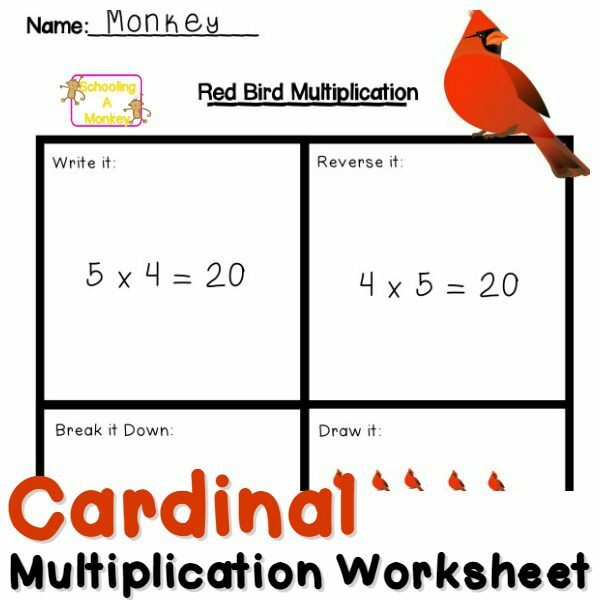 It took Monkey quite some time to come up with the square designs! She’s a little weak in geometry, so this activity was perfect. 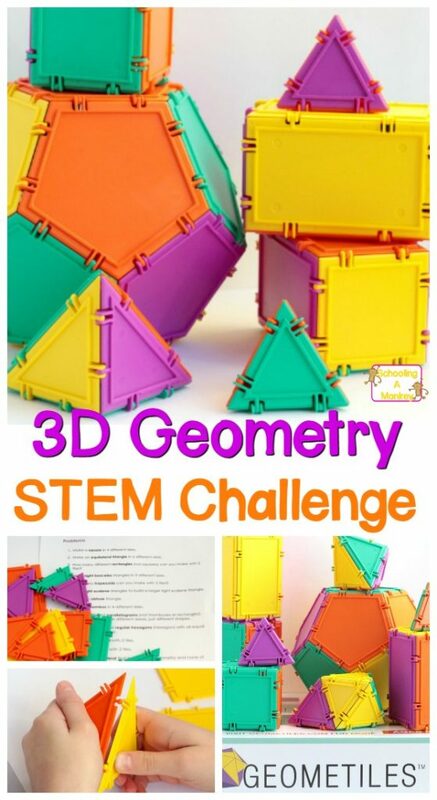 In addition to simply learning more about shapes and geometry, Geometiles also builds critical thinking skills. Geometiles come in sets of 32, 96, or 512. We were sent the set of 96, which was just enough to do most of the challenges listed in the resource section. But I really like the versatility of the largest set! There is so much room for engineering challenges with that many tiles. 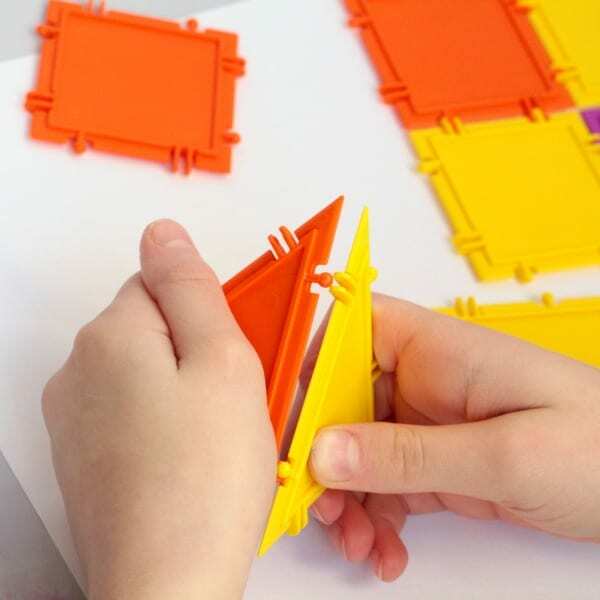 Geometiles have lessons from first through eight grade, so they are perfect for homeschool families.